Neighbor helping neighbor, we know that you are a critical part of a community’s response and recovery. We all have to do our part, and World Cares Center (WCC) is here to make sure that we stay safe while doing so. 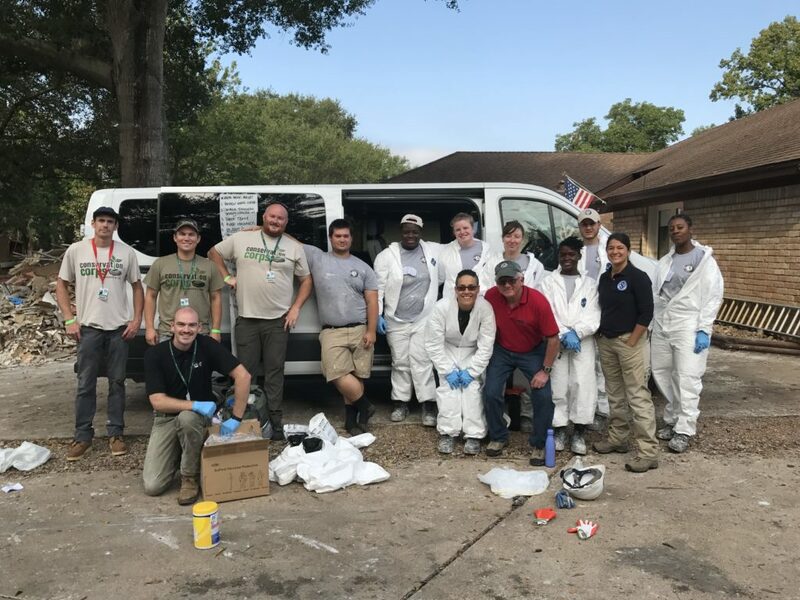 From 9/11 to the Haitian Earthquake to Hurricanes Harvey, Irma and Maria, along with every disaster in between, WCC stands behind and beside local volunteers, providing them with training, personal protective equipment, and support as we help survivors recover. Support us as we continue our critical mission in reducing the harm, suffering and loss caused by disasters through the empowerment of underserved, at-risk communities. Understanding the importance of strengthening disaster response efforts, WCC believes that by educating and supporting local leaders and volunteers, a community will be able to further its self-sufficiency and aim towards becoming resilient. We hope that you will consider supporting our programs. On the basis of emerging disasters, we will provide updates on specific needs as they arise.